Today, the need for self-service data discovery is making data governance a charged topic. As business-driven data discovery emerges as a fundamental need, the ability to ensure that data and analytics are trustworthy and protected becomes both more difficult and more imperative. 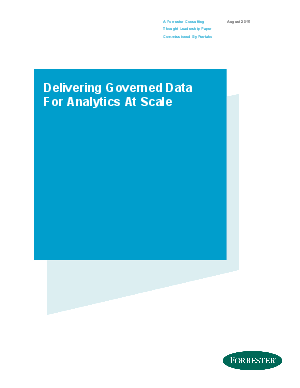 This research explains how to manage the barriers and risks of self-service and enable agile data discovery across the organization by extending existing data governance framework concepts to the data-driven and discovery-oriented business.